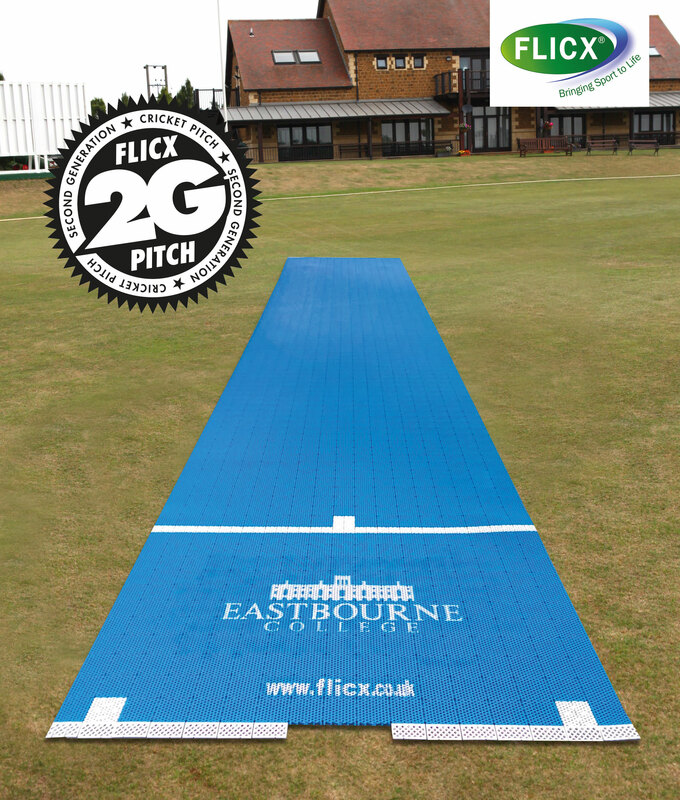 As the new cricket season starts this weekend, Flicx UK are delighted to release their new video which provides a quick overview about the 2G Flicx Pitch and explains its various applications and performance benefits. When founder Richard Beghin realised there weren’t enough facilities for the increasingly-popular sport of cricket in South Africa, he founded Flicx and the first one was rolled out at Telkom Country Club in Pretoria. Fast forward to today and Flicx UK have now developed their 2G range with improved ball bounce and better seam/spin performance as well as offering much more grip when wet. The animated video goes through other benefits of the 2G product including its great versatility of being able to be used both indoor or out, for adult or junior cricket and for hard or soft ball games. The new 2G product has been phenomenally popular since its launch last year with clubs seeing its value in increasing junior capacity, or converting other fields or artificial surfaces into a cricketing venue …we even hosted the world’s highest cricket match on Mt Kilimanjaro last September … all part of the unique appeal of the product which can take cricket to places it has never been played before. Choose your pitches colours and design plus add your logo! We hope you love the video as much as we do and our big thanks to Phil and all the team at Katapult for their help in bringing the Flicx story to life.